Mont Blanc has been at the center of the mountaineering world from the origins of the sport. It towers over Chamonix and its 15,771 foot summit has beckoned climbers since the 1600's. Yes, it's crowded. There are dozens of routes up the complex massif and they are all trafficked by climbers from around the world, choking the huts to capacity during the summer high season. But it is worth it. 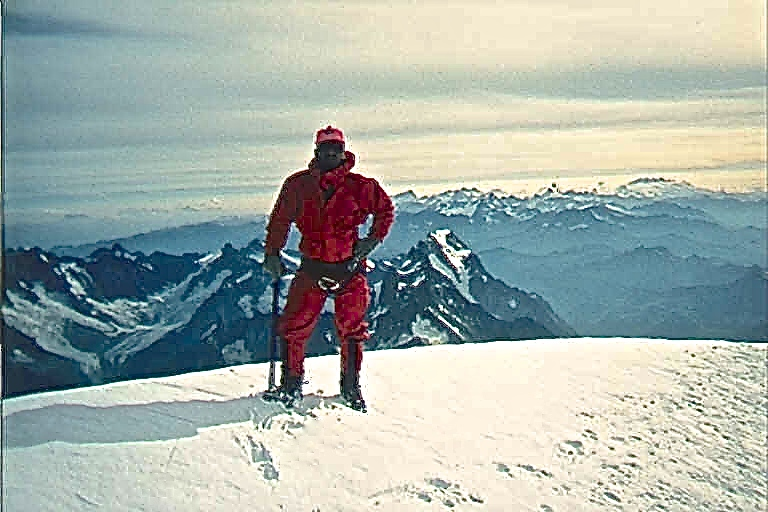 If you have any appreciation for the history of climbing, and wish to follow in the bootprints of the legends of the sport, Mont Blanc is the place. The top was first reached in 1786 by Michel-Gabriel Paccard and Jacques Balmat and each time I have been there, five times in total, I've been treated with a fine view from the rooftop of the Alps, always aware of the Matterhorn, tiny and far off on the horizon.